tenminutestops.com | Ten-minute thoughts that take you to the top. : Promote Bangus Festival and get a Shui Spa GC + FREE Bangus Festival Shirt! 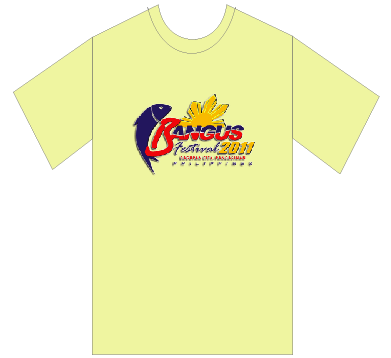 Promote Bangus Festival and get a Shui Spa GC + FREE Bangus Festival Shirt! This contest is now closed! Scroll to the bottom of post to see if you won! Get a chance to win this FREE Bangus Festival shirt + a Shui Spa Ventusa Therapy Gift certificate when you help spread the word out on Dagupan City's Bangus Festival which formally opened last April 8. The festival will be month-long, and ends on May 1. Available in yellow, white and green colors. This is Ten Minutes, Tops! 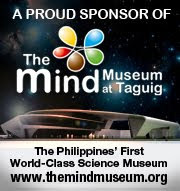 Blog and ClubTravelNOW!TM contribution to help promote Dagupan City's Bangus Festival. Join the cause! One (1) Bangus Festival Shirt + One (1) Shui Ventusa Therapy GC from Shui Hilot Healing Spa to be given away to 3 lucky Facebook friends/bloggers who help promote the festival. 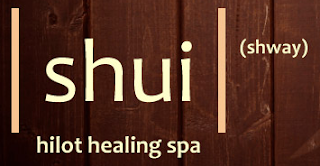 The first ten (10) entries automatically gets one (1) Shui Ventusa Therapy GC from Shui Hilot Healing Spa! Another ten (10) Shui Ventusa Therapy GC will also be awarded to the rest of the lucky winners! More surprise gifts may also be given away! With TAG @tenminutestops and TAG @clubtravelnow, join Dagupan City's celebration of the Bangus Festival from April 8-May 1. Exciting activities! 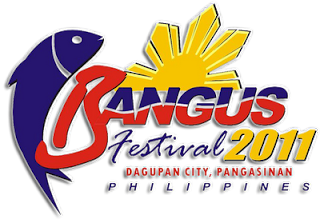 For more details, visit http://tinyurl.com/bangusfestival. See you! Make sure Ten Minutes Tops and ClubTravelNOW.org are tagged correctly (i.e., clickable). This contest runs only for 5 days, from April 9 to April 14, 6PM. Winner will be chosen using random.org and will be announced by 10AM on April 15. Winners will be announced on this blog, and on the Ten Minutes, Tops! and ClubTravelNOW.org fan pages. Details on claiming of prizes will be sent to the winner via their FB Wall or via PM. Again, thanks to everyone who joined. Hope you continue to spread the word on Dagupan City's Bangus Festival. Please come to our city if you can! Celebrations are until May 1. 2. Claim it at Carol's Texan 5 Restaurant in Wilson St., Greenhills. Once you have selected a mode of claiming your prize, please let me know via email at: tristan@tenminutestops.com. Thanks again, everyone! 'Til next time! i love bangus festival very much...eeheheh by the way im jowell from san carlos pangasinan...i follow u olready..please follow me either,ehheehhe.i like ur blog very intersting...olweiz tc and godbless kababayan. thank you. i will claim it on may 4 if i won't have time to visit carol's texan before then. oks lang ba yun? Hi Mhe-anne, saw your comment just now. Anyway, the GC isn't with Carol's Texan 5 yet. I think the best time for me to give it to you would at the FastFive event instead since I will not be able to come to CT5 anymore this week. Hope that's ok.
Chinchan, see you at the FastFive event. Thanks! Yes Tristan that's fine.Actually we were not able to find Carol's Texan at the address on the net. We spent about 30minutes or so.Good that GC is not with them yet.